RT:The European foreign policy chief Catherine Ashton says Ukraine's U-turn is indeed a major disappointment. 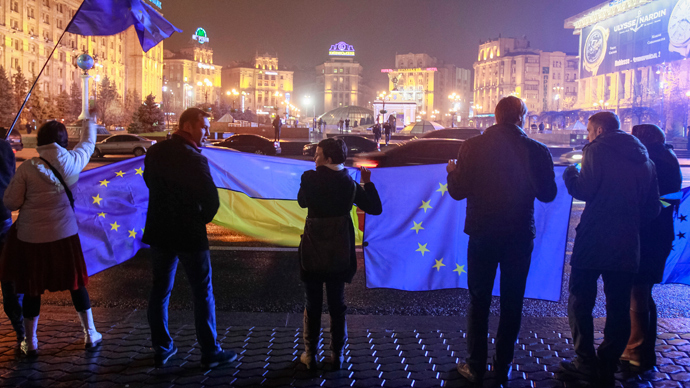 Who is the biggest loser here - Ukraine or the EU? RT:What do you make of President Putin's statement that the EU “blackmailed” and “pressured” Ukraine over the trade pact suspension? RT:Would this trade deal with the EU help Ukraine's economy, which is experiencing hard times right now? JL: It would have finished it off. It would have been a coup de gras to an economy which is already very weak. And I’m not just saying that out of polemical reasons. Anybody who has followed the sad story, very sad, and in some cases catastrophic story of the Eastern European economies as I have in the 1990s and 2000s, I’m thinking especially of countries in the Balkans, weaker countries like Bulgaria and Romania. But also now countries like Greece and Cyprus. Anybody who has followed the history of those countries over the last 15-20 years can see how signature of this agreement and indeed the preparation for the signature is absolutely catastrophic for the economies, because the industries can’t stand up to the competition, because EU regulation is too costly for these weaker economies and because their natural markets are in the East, particularly with Russia. It would have been signing a suicide note.